What version of the software did you get? 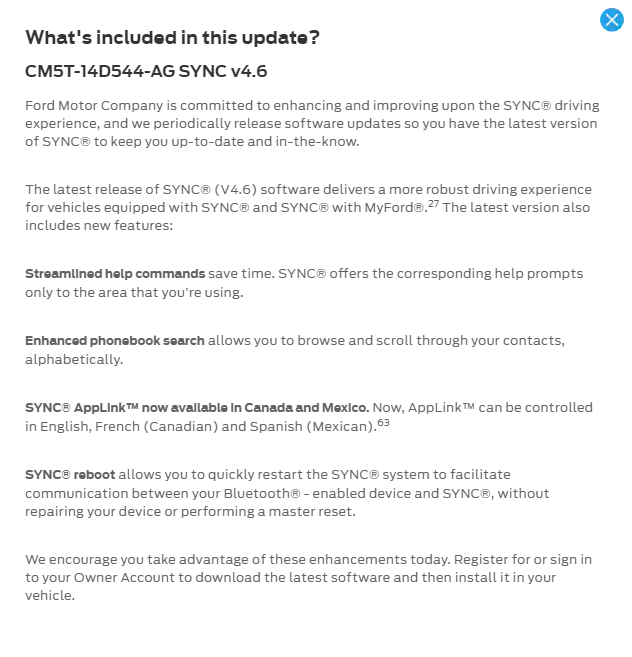 I have a 2012 Ti with Sync2 v3.5 and I know up to v3.10 is available but the Ford website says my software is up to date. I can't seem to find any information regarding these updates/software versions. I have a '12 SEL they should be the same system, my latest update is for SYNC and SYNC with MyFord. I dont know if they are specific to locale, but Im in USA. Im linking the file that I was given by ford. Last edited by Smalls89; 03-23-2019 at 03:46 AM.